“Peace I leave with you, My peace I give unto you”(John 14:27). 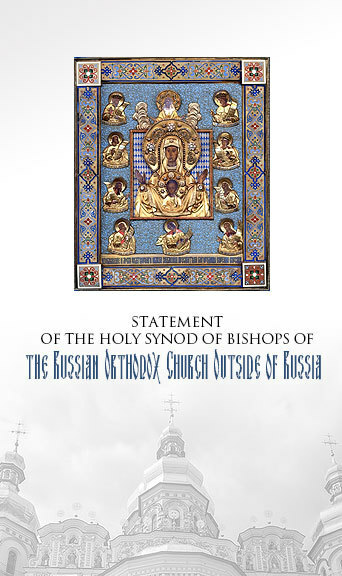 Having gathered in an expanded session of the Synod of Bishops as we approach the feast day of the Synodal Cathedral of Our Lady “of the Sign” in New York City, we, the bishops of the Russian Orthodox Church Outside of Russia, warmly greet the clergymen and God-loving flock with the all-diaspora celebration of the Kursk-Root Icon of the Mother of God "of the Sign", the “Protectress” of the Russian diaspora. 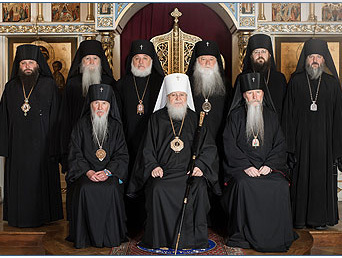 We are approaching the centennial of the founding of the Russian Church Abroad, which continues to minister to its flock, scattered like Divine kernels of wheat throughout the world. Over the course of that time, the work of its Councils, the sessions of its Synod of Bishops, important ecclesiastical-social gatherings and various Church celebrations have all taken place under the auspices of the Kursk-Root Icon. This miracle-working image has accompanied Russian refugees fleeing cruel persecutors who dared to desecrate or destroy the holy sites of our Fatherland, murder archpastors, pastors and a multitude of believers, including the Royal Passion-bearers. The hundredth anniversary of the martyrdom of the latter was prayerfully marked in all the dioceses of our Church this year. 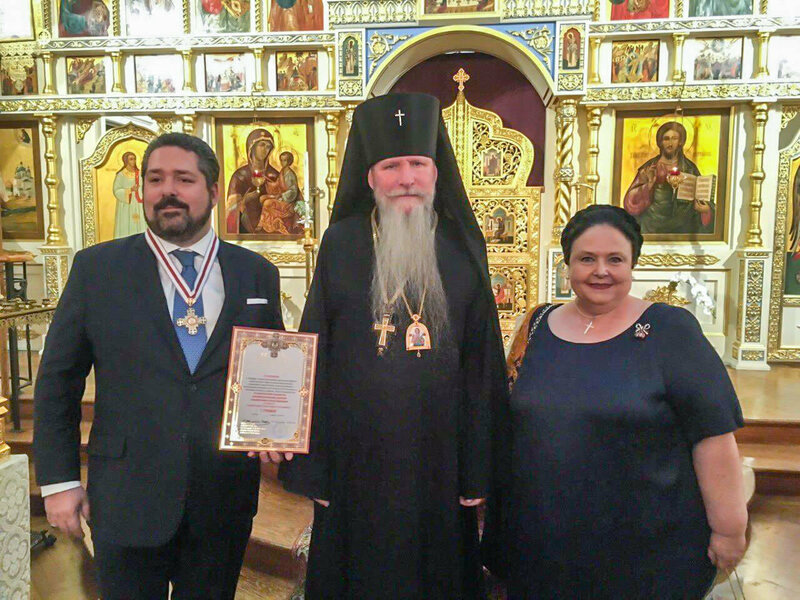 On the day when the Church commemorates the Kazan Icon of the Mother of God (October 22/November 4, 2018), the parish choir of the Church of All Russian Saints presented a concert of works glorifying the Queen of Heaven, dedicated to the memory of reposed benefactor Nikolai Vasilyevich Misersky, in Burlingame, California. 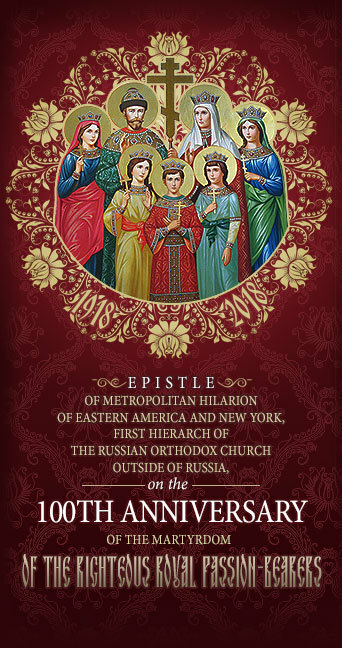 The Patronal Feast was concelebrated by His Eminence Peter of Chicago and Mid-America, His Grace Theodosy Bishop of Seattle, the cathedral clergy, and other priests from the Western American Diocese and the Orthodox Church in America (OCA). On November 10 and 11, 2018, the miraculous Iveron-Hawaiian Myrrh-streaming Icon of the Mother God visited parishes of Central California. 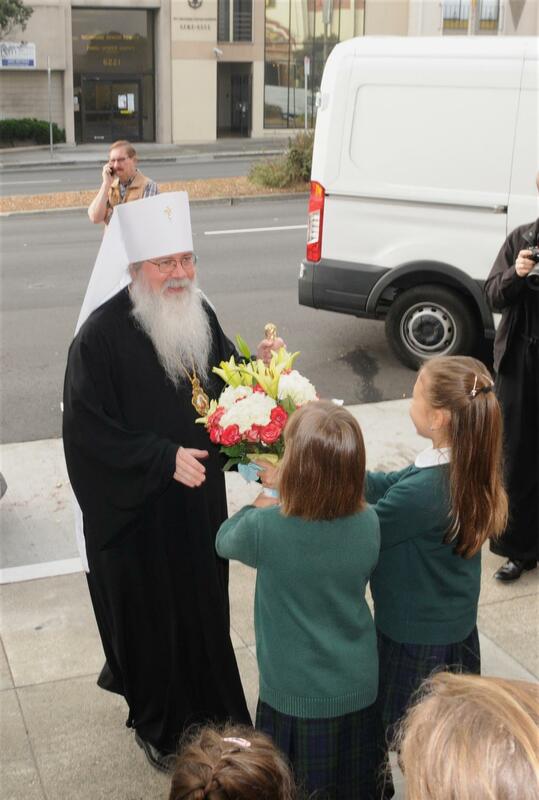 On October 19, 2018, The Most Blessed Tikhon, Archbishop of Washington, Metropolitan of All America and Canada made a private pilgrimage to our Diocesan Cathedral dedicated to the Icon of the Mother of God “Joy of All Who Sorrow” in San Francisco to venerate the honorable relics of Holy Father John Archbishop of Shanghai and San Francisco the Wonderworker. 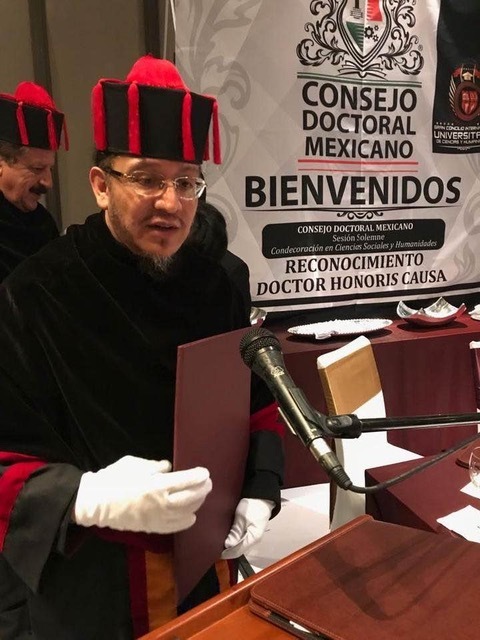 Metropolitan Tikhon was accompanied by The Most Reverend Benjamin Archbishop of San Francisco and the West, his auxiliary The Right Reverend Daniel Bishop of Santa Rosa and His Eminence Abel Archbishop of Lyublinsk and Kholm (Polish Autocephalous Church). 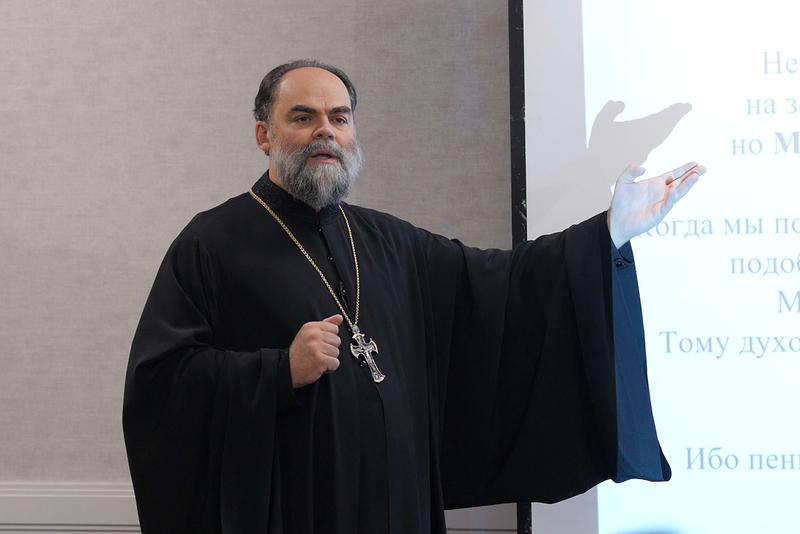 This Symposium was sponsored by the Saints Cyril and Athanasius Institute for Orthodox Studies, which was dedicated to the 50th Anniversary of the Repose of Saint John of Shanghai and San Francisco the Wonderworker, held from June 30 through July 1, 2016. On Sunday July 22, 2018, we continued our solemnities. That day we greeted our Rector, His Grace Bishop Theodosy. 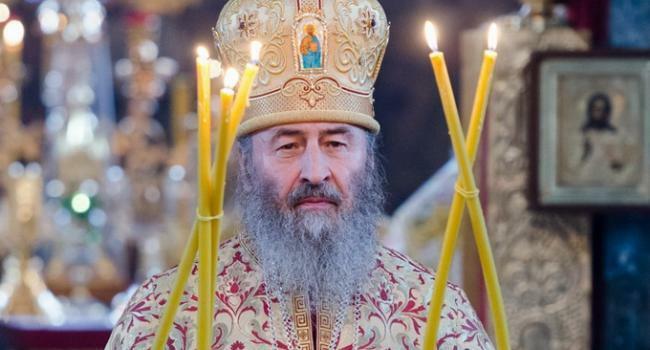 Vladyka flew directly from Yekaterinburg where he had participated from July 16 to 17 in the traditional All-night Vigil and procession that begins at the Memorial Church on the Blood and finishes at Monastery of the Holy Royal Martyrs in the grove of Ganina Yama (Ganina Pit). The march rout of the cross procession is around 20 km. It takes about 5 hours. Vladyka told us that before the cross procession a church choir performed the Hymn of the Russian Empire “God Save the Tsar” in honor of the Holy Royal Family. 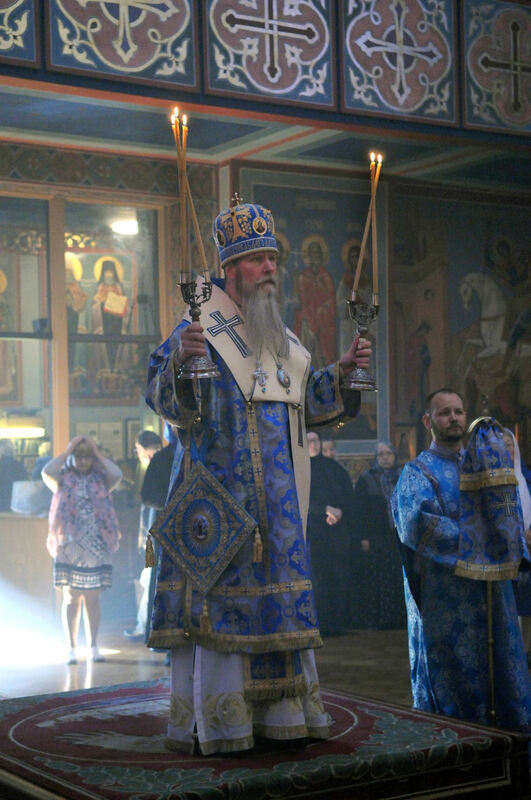 On July 21, 2018, His Eminece Kyrill, Archbishop of San Francisco and Western America presided over the Altar Feast at the Kazan Church on the Russian River. 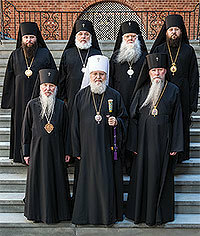 Concelebrating with him were priests and deacons of our Dicoese as well as of the Moscow Patriarcate. The choir sing the Divine Liturgy prayerfully and beautifully under the direction of Matushka Ioanna Sharkov. The warm, sunny weather permited the clergy and faith to enjoy a delicous and abundant meal out of doors in the church yard. 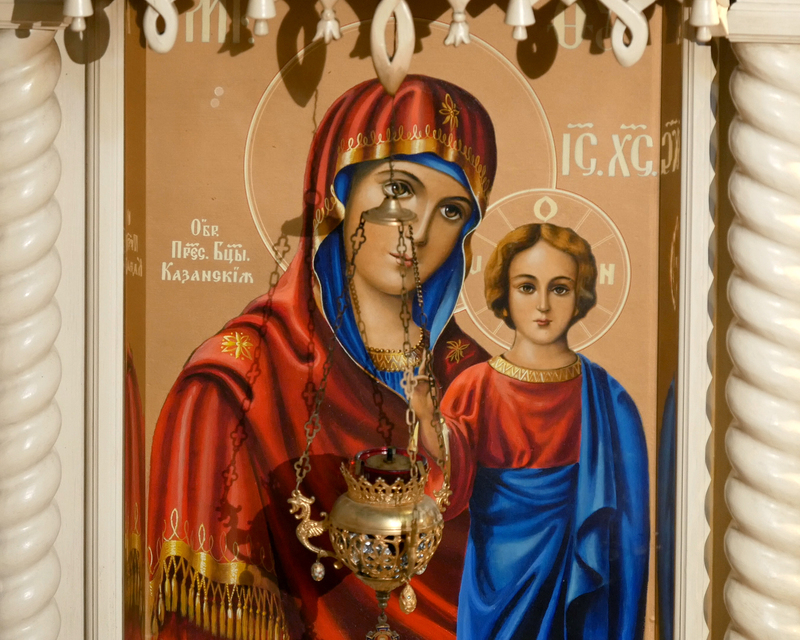 Toward the end of the festal meal Archbishop Kyrill present the parish with two new icons to adorn the church yard. 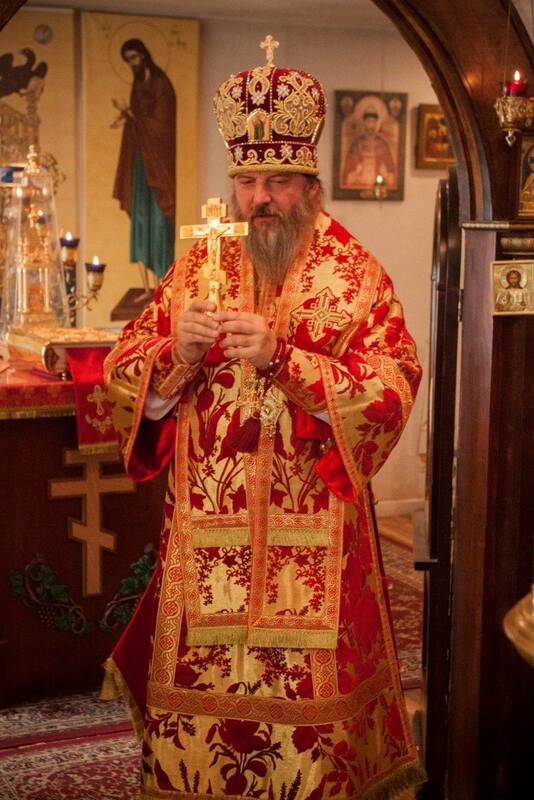 On July 17th, 2018, the community of the Holy Royal Martyrs of Russia in Reno/Sparks, Nevada, celebrated its Patronal Feast Day marking 100 years to the day of the Martyrdom of Holy Martyr Tsar Nicholas and His August Family, and dedicated servants (+July 4/17, 1918). The Western American Diocese marked the annual memory of Saint John of Shanghai and San Francisco on June 30, 2018. Below is a photogallery of the celebration. 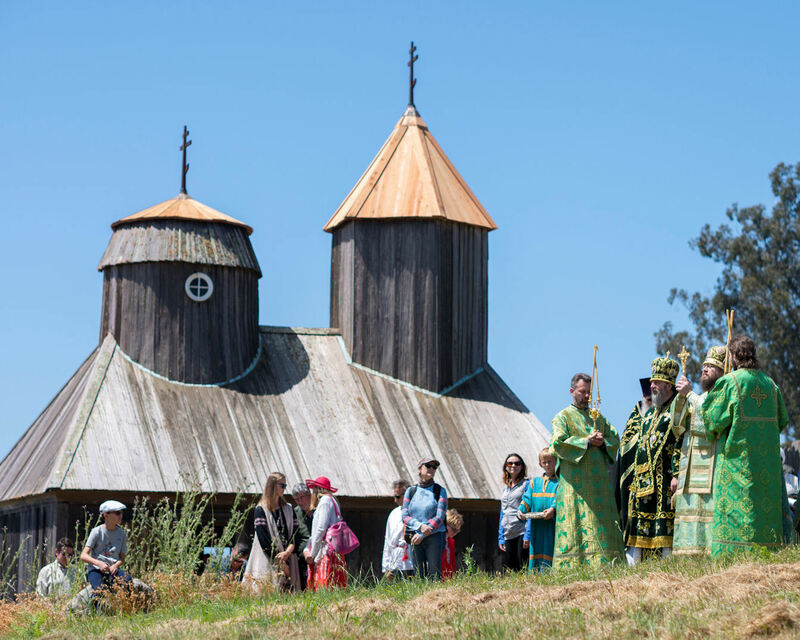 On the Day of the Holy Spirit, May 15/28, 2018, clergy and laity of the Western American Diocese gathered around their three hierarchs at Fort Ross for the annual pilgrimage. 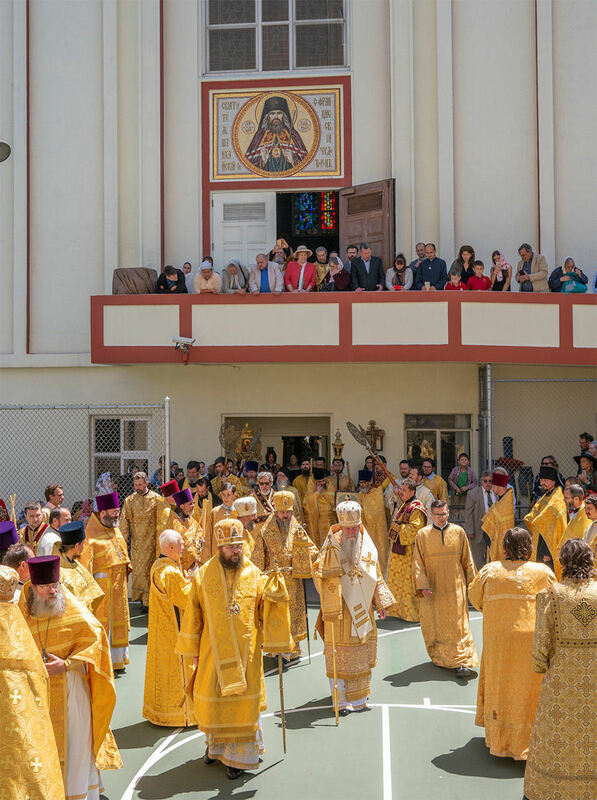 On May 17, 2018, the Feast of the Ascension of the Lord, Holy Ascension Russian Orthodox Church of Sacramento celebrated its Patronal Feast Day. 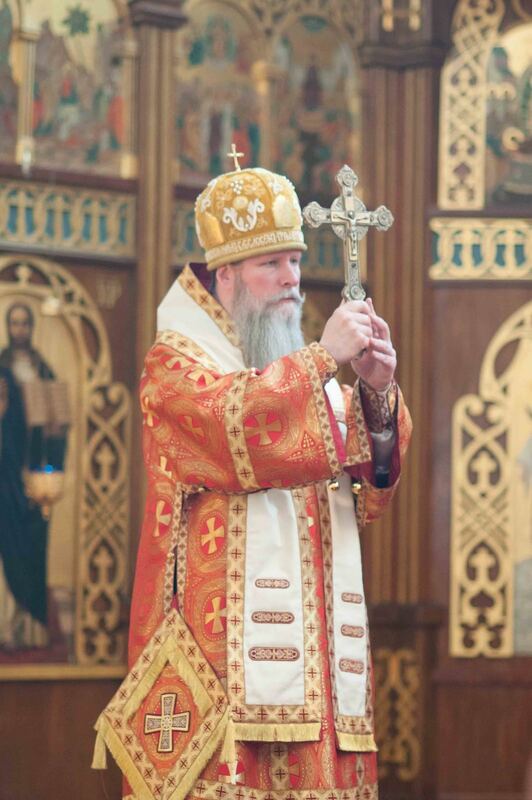 His Eminence KYRILL Archbishop of San Francisco and Western America presided over the Divine Liturgy and festivities. Concelebrating with him were Archpriest Paul Volmensky (Rector), Archpriest James Steele (St. Elias Church of Diamond Springs, CA), Archdeacon Peter (Karakozoff), and deacons Nicholai Lenkoff and Nicholas Stoltz. On Saturday the 5th of May, 2018, the 8th Annual Children’s Cossack Games were held at Holy Ascension Russian Orthodox Church of Sacramento under the direction of Stanislav Holokov a Semirechniy Cossack, Ataman of the Cossacks’ National Union and Dean of the Western American Cossack Cadet School in honor of the “Don” Icon of the Mother of God. 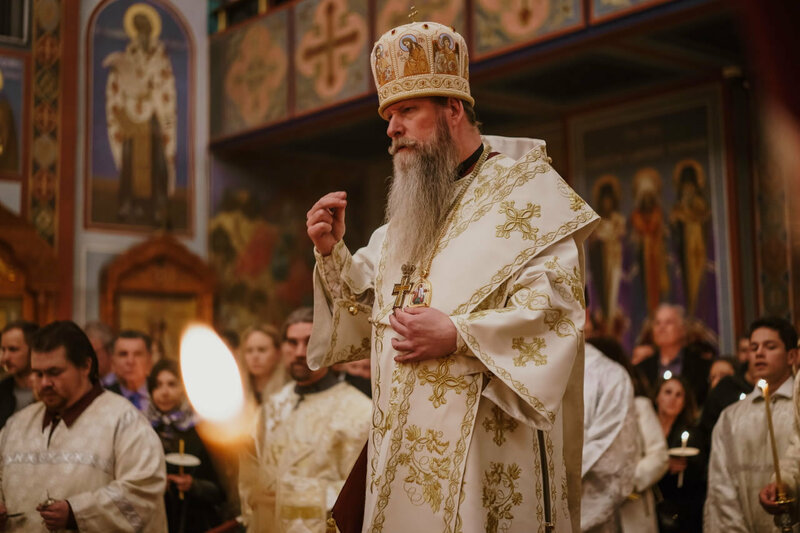 On Pascha night, April 8th, 2018, His Eminence KYRILL Archbishop of San Francisco and Western America resumed his duties as Ruling Bishop after a brief leave of absence for health reasons, which had been blessed by Metropolitan Hilarion First Hierarch of the Russian Orthodox Church Outside of Russia. 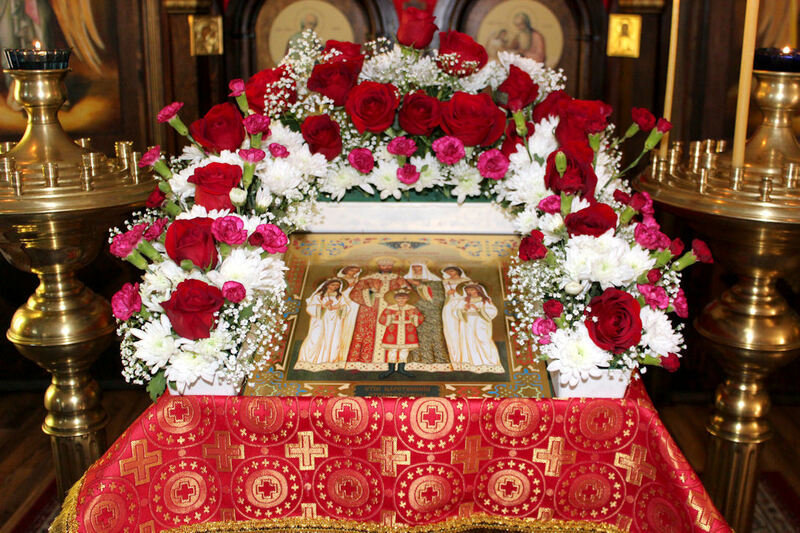 On Pascha night, divine services were celebrated at the Cathedral of the Mother of God "Joy of All Who Sorrow" in San Francisco, CA, the home of the uncorrupt relics of St John of Shanghai and San Francisco the Miracle-worker. 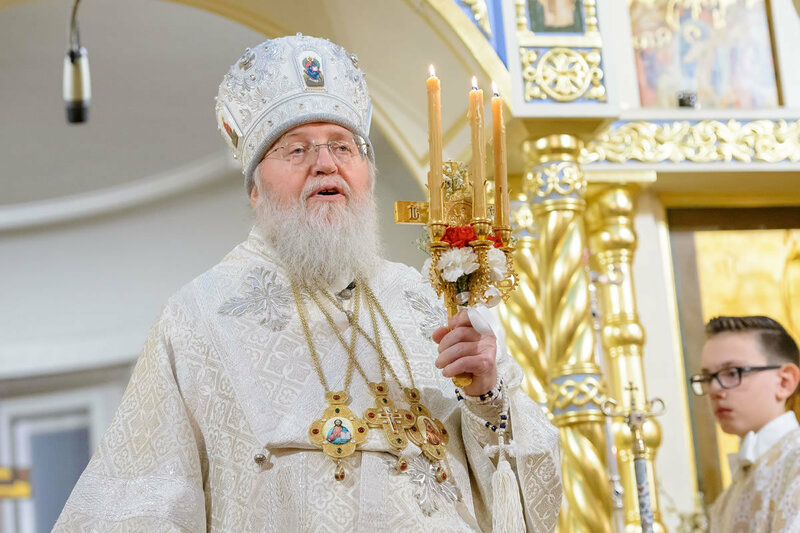 Leading the services was His Eminence Archbishop Kyrill of San Francisco and Western America of the Russian Orthodox Church Outside of Russia, who returned from a brief leave of absence. His Eminence was joined by the cathedral's clergymen, as the Cathedral Choir and SS Cyrill and Methodius High School Choir sang antiphonally. 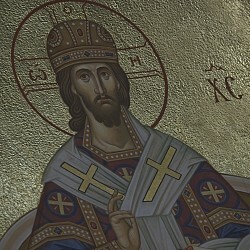 I express my heartfelt greetings to you my brother archpastors, dear in the Lord fathers, brothers and sisters, on this holy, brightest and all-joyous day of the Resurrection of Christ, and in the name of the Three-day Risen God, the Lover of Mankind, extend to you the embrace of Paschal rejoicing and fraternal love! Bowing down to Christ, the Giver of Life, together with the entire Church, I fervently pray for His mercy, that He grant us the unearthly, desired peace that He gave His disciples, and blesses our prayerful and fraternal communion in His name. 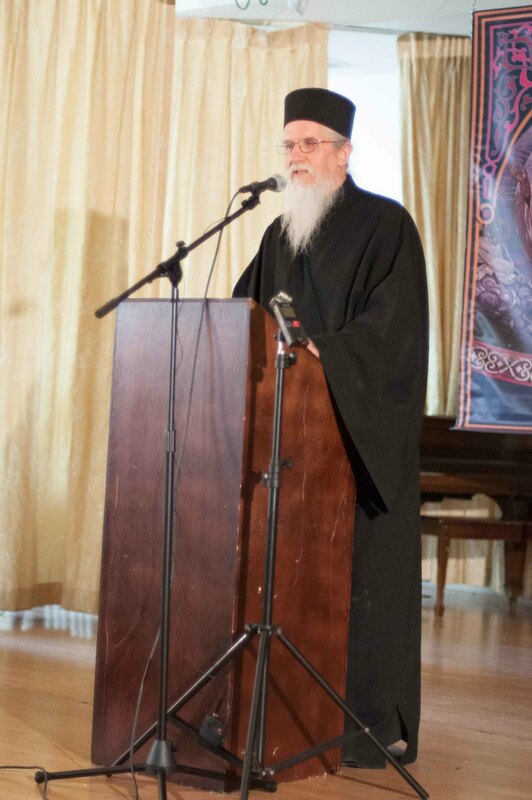 On Sunday March 25, Holy Virgin Cathedral, which is dedicated to the honor of the Icon of the Most Holy Theotokos “Joy of All Who Sorrow,” hosted the Western American Diocese’s Tenth Annual Great-Lenten Retreat: “Bringing the Church to the World.” This year’s speakers were Bishop Irenei of Sacramento and Hieromonk Alexii (Altschul). From the beginning connections were found between this retreat and those held previously. Fr. 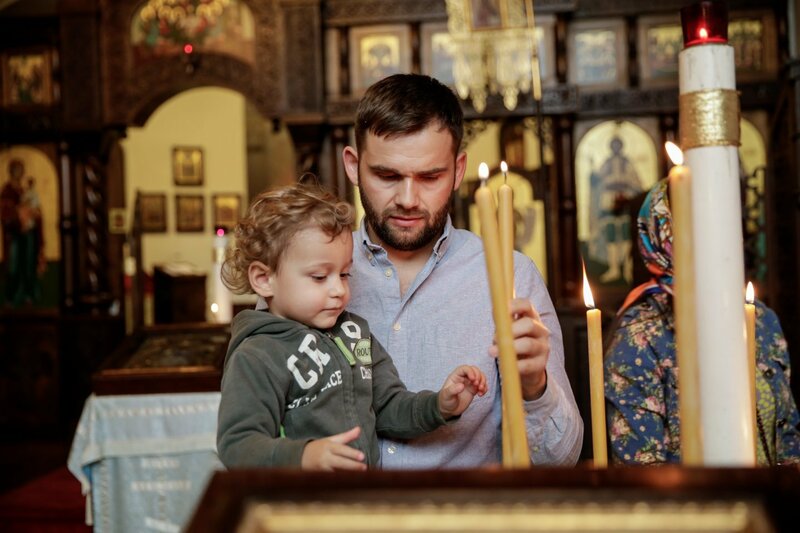 Alexii had been baptized into the Orthodox Faith by last year’s speaker Fr. Moses Berry, while Bishop Irenei had been the speaker of the first ever Great-Lenten retreat back in 2007 (before his monastic tonsure and episcopal consecration) as Oxford University Fellow Dr. Matthew Steenburg. With incredible pain we have received the news about the tragic events in the Kemerov Diocese which swept away the lives of a multitude of children. 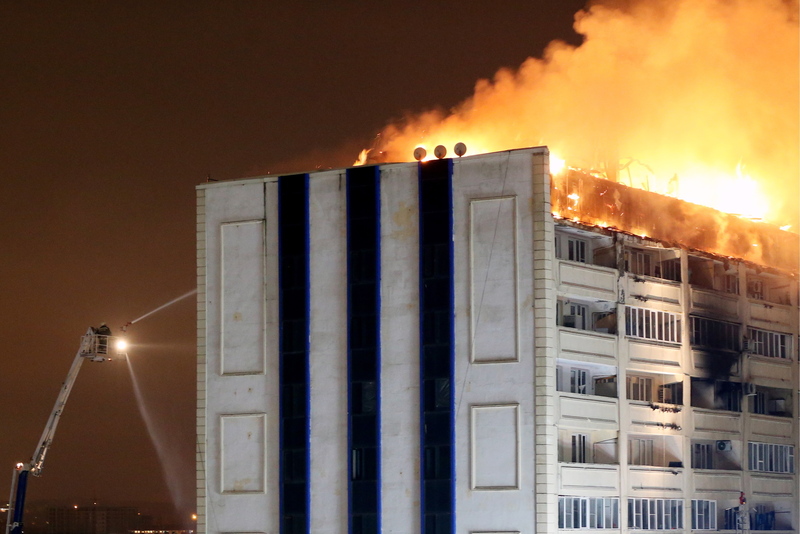 Now, moved by the Christian sense of sympathy and brotherly love, we are praying for the repose of those who have been lost and for the health of those lying in hospitals. And, we call for all possible assistance to all affected families through the Benevolent Memorial Fund of St. Archbishop John (Maximovich). This great archpastor of the Russian Diaspora always hastened to the aid of the suffering, those in tribulation and those weighed down by the cross of life. He hastened with concrete help, with kind words of love, consolation, hope and prayer. 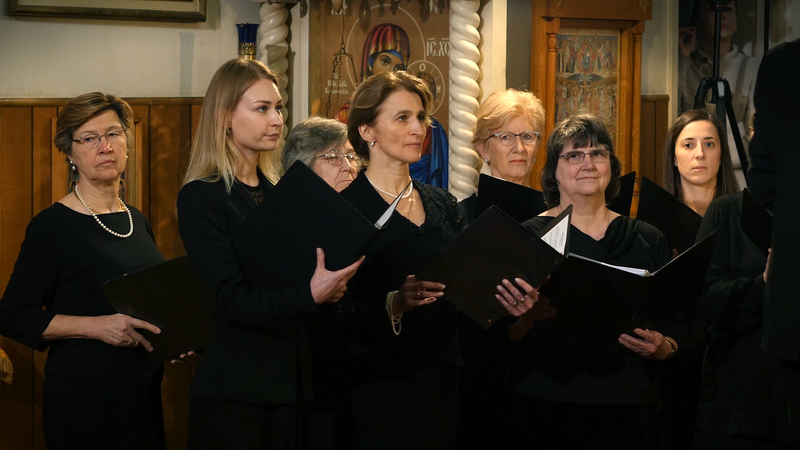 On Sunday, March 18, 2018, the Parish Choir of the Church of All Russian Saints in Burlingame, California, presented its annual “Lenten” choral recital, featuring works heard at Great Lent and Passion Week services. The concert was dedicated to the memory of Metropolitan Laurus, who reposed ten years ago on March 16, 2008. Before the first selection, all who were present chanted “Eternal Memory” for +Metropolitan Laurus, Prince Vladimir Galitzine (+ 22-FEB-2018) and Dmitri Hvorostovsky (+ 22-NOV-2017). Several concert selections are familiar sacred works performed by Hvorostovsky. 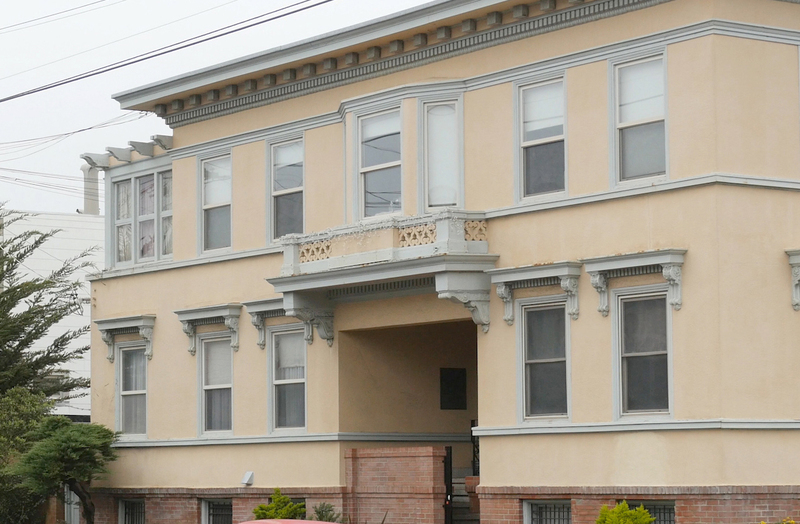 On behalf of the Diocesan Council of the Western American Diocese an Appeal for the collection of funds for the renovation of Saint Tikhon's House in San Francico, CA, was read to the diocesan clergy at their Great-Lenten Retreat held from March 12 to 14, 2018. 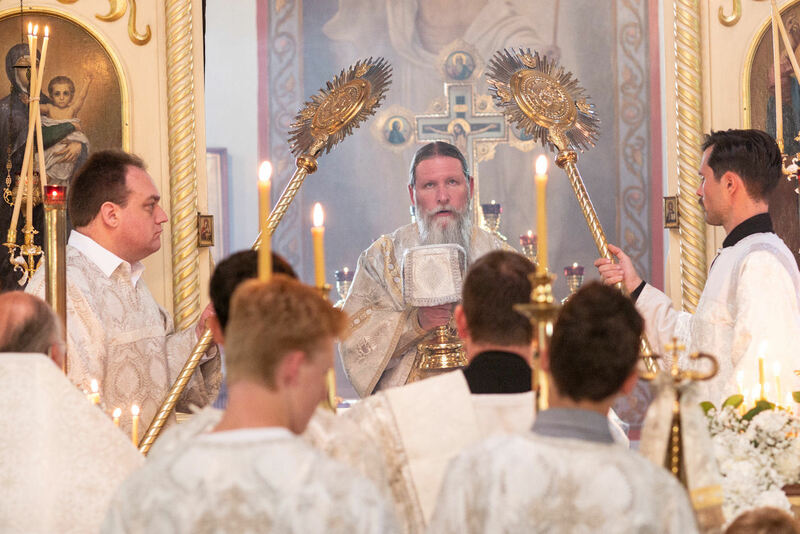 As part of the program of the Lenten Pastoral Retreat of the clergy of the Western American Diocese which had been held from March 12 to 14, 2018, our bishops, priests and deacons gathered in Old Holy Virgin Cathedral to perform a panykhida for ever-memorable Metropolitan Laurus who reposed on the Sunday of Orthodoxy 10 years ago (+ 3/16, 2008). 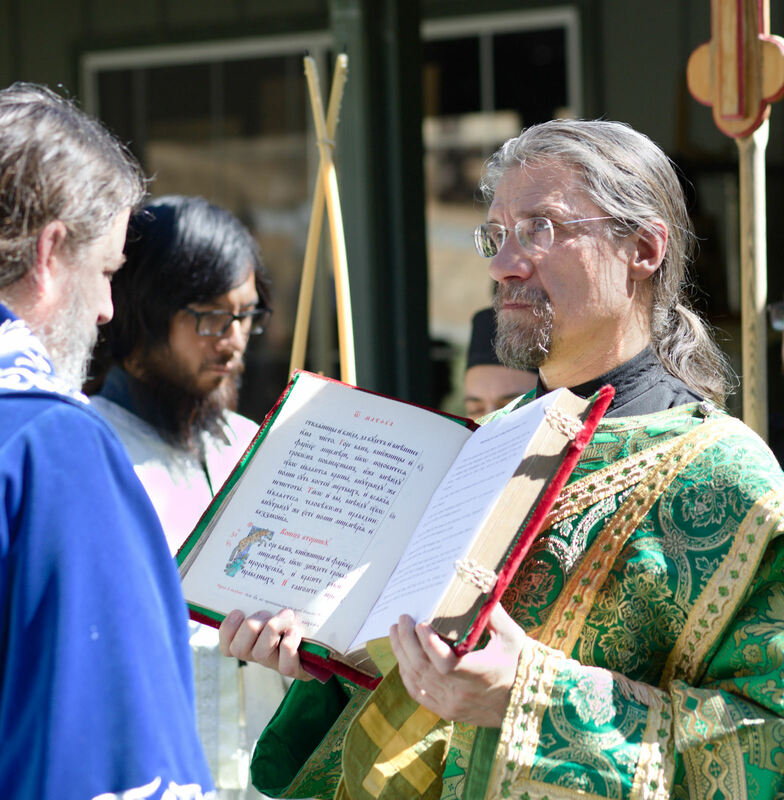 Archpriest Alex Kotar, Dean of the Northern Deanery of the Western American Diocese and Archdeacon Peter (Karakozoff) performed the panykhida. His Grace Bishop Theodosy, His Grace Bishop Irenei and the participanting clergy of the conference chanted and prayed. Memory Eternal to our beloved and ever-memorable Metropolitan Laurus, a true Teacher of the Faith and father to so many! 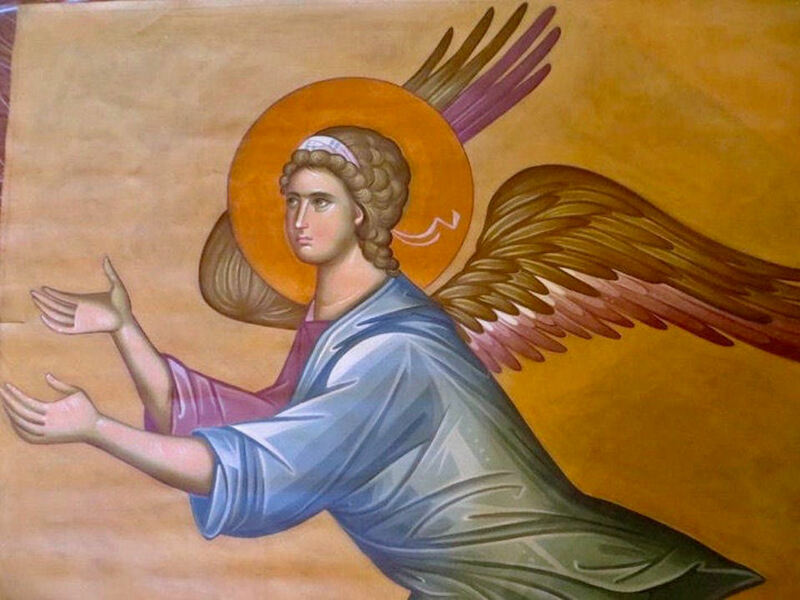 The Orthodox holy object, myrrh-streaming icon of the Theotokos “Appeasing of Malicious Hearts”, otherwise named “Shot with Seven Arrows” has visited Los Angeles. The icon has arrived from Moscow and stayed in California for two weeks. On February 1, the icon was delivered to the St. John of Kronstadt Retirement Home. 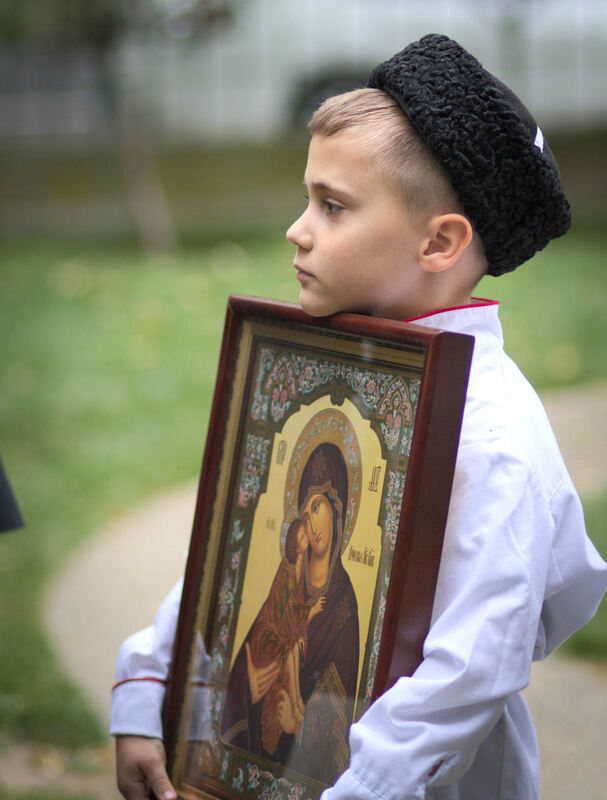 Russian Orthodox residents of the Home met the icon with joy and love. It was the first relic of such caliber that had visited their Home chapel. 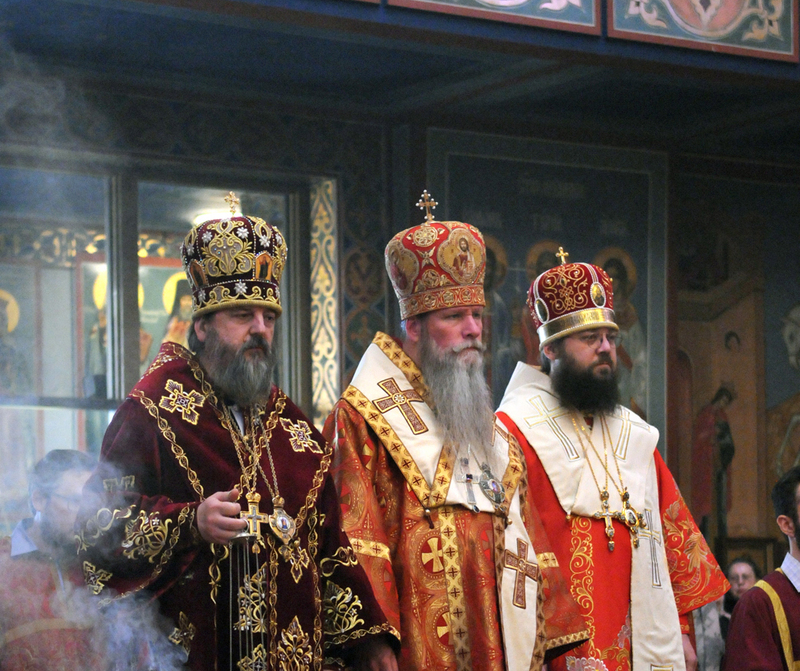 As the parishes of the Western American Diocese of the Russian Orthodox Church Outside of Russia celebrate the feast of the Sunday of Orthodoxy, in the Diocesan Cathedral in honor of the Icon of the Mother of God “Joy of All Who Sorrow” His Grace Theodosy Bishop of Seattle and His Grace Irenei Bishop of Sacramento along with the clergy and faithful gathered around our Ruling Bishop His Eminence KYRILL Archbishop of San Francisco and Western America to perform the “Rite of Orthodoxy” with the solemn pronouncement of the Anathemas. 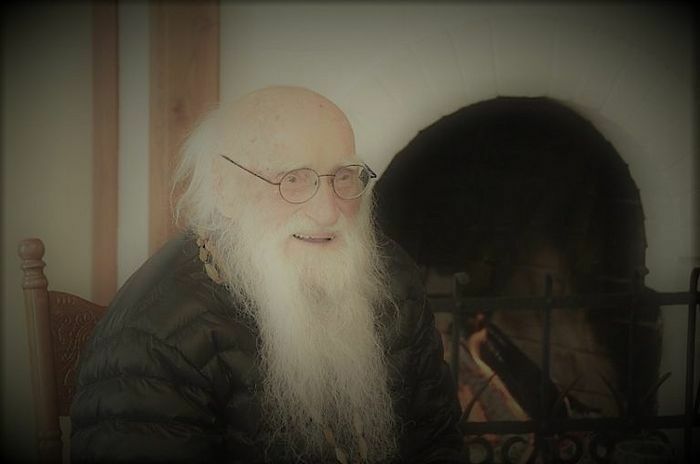 The Great Schema Archimandrite Averky (the former Archimandrite AnastassyZagarsky) passed away today, in Russia, at the age of 102. 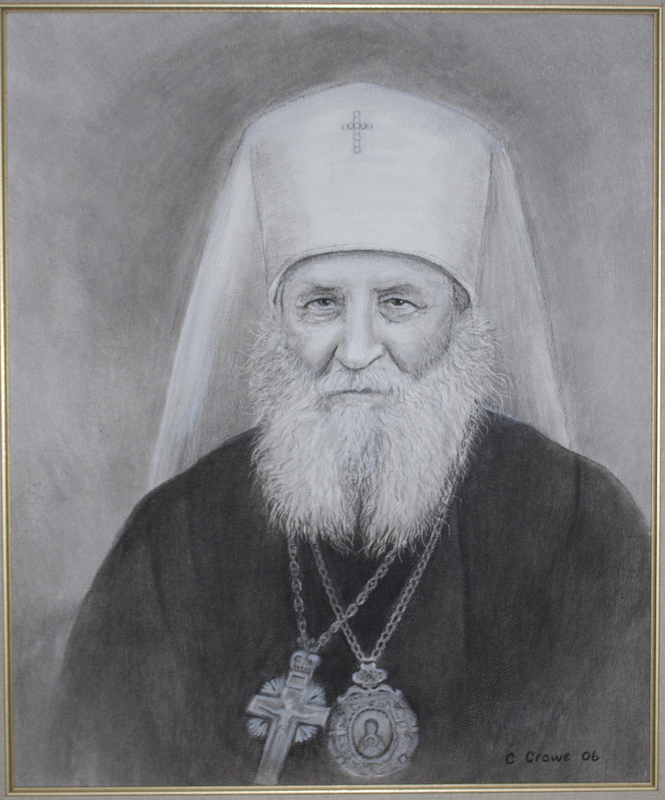 Father Anastassy served many parishes in San Francisco, including the Kazan church, Old Cathedral, St. Tikhon's and St. Sergius. Upon retirement, he was attached to the new Holy Virgin Cathedral for a few years and later moved to a monastery in Tula. I was invited to attend as a young adult volunteer the Eleventh Annual Saint Herman's West Youth Conference, held in Seattle, Washington, December 26-28, 2017. It was hosted by the St. Nicholas Cathedral Parish. I was joined by seventeen other volunteers whose backgrounds ranged from being cradle Orthodox to recent converts. Our ages spanned from the early twenties to the mid-thirties. The common denominator for all of us was not only to grow our own spiritual lives, but to help grow the spiritual lives of the Orthodox youth. It is with a feeling of the greatest joy that I express my heartfelt greetings on the Nativity of our Lord Jesus Christ and the approaching feast day of the Baptism of the Lord! 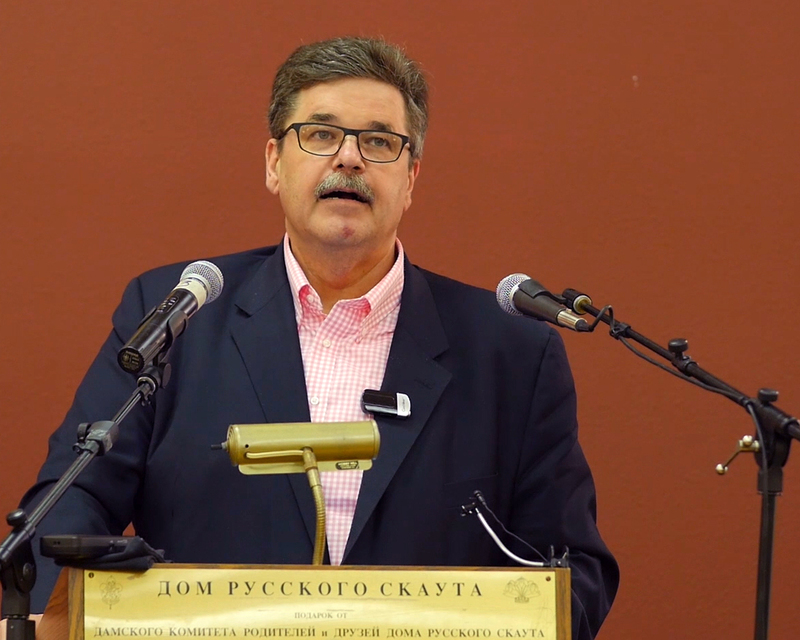 The Media Department of the Western American Diocese of the Russian Orthodox Church Outside of Russia has published two lectures from the XXVI Annual Russian Orthodox Church Musicians Conference held at the Holy Transfiguration Cathedral in Los Angeles, CA, from the 4 to the 8 of October, 2017.